Physical removal of weeds by soil disturbance prior to planting, and by hoeing and hand-weeding during crop growth are undoubtedly the oldest forms of agricultural weed management. Farmers and agricultural equipment manufacturers continue to develop this ancient tradition of mechanical weed control through the refinement of hand tools and the invention of new tillage and weeding machinery. 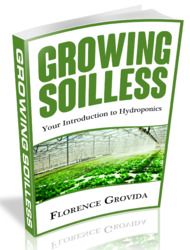 The purpose of this chapter is to explore the ways in which tillage before crop planting and mechanical weed control methods after planting interact with the ecology of weeds, and to use that understanding to suggest strategies for weed management. 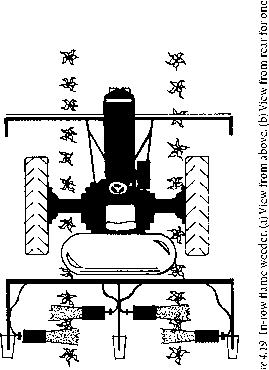 Tillage and cultivation affect weeds in three distinct ways. First, they uproot, dismember, and bury growing weeds and dormant perennating organs. Second, they change the soil environment in ways that can promote germination and establishment of weeds or, less commonly, inhibit germination and establishment. Third, they move weed seeds vertically and horizontally, and this affects the probability that seedlings emerge, survive, and compete with the crop. The second of these effects was discussed in Chapter 2. The first and third are addressed in this chapter. Each of the tools used for tillage and cultivation disturbs the soil in a unique way. In particular, tools vary with respect to their working depth and the degree to which they invert the soil column, break up soil aggregates, and shake weed roots free from the soil. A general principle underlying this chapter is that the impact of tillage or cultivation on a species depends on the interaction between the nature of the soil disturbance and the life history characteristics of the weed. The size, position, and physiology of shoots and underground organs have a large influence on the weed's ability to survive a particular type of disturbance. Moreover, the size, longevity, and germination characteristics of seeds largely determine how they respond to redistribution in the soil column by farm machinery. A second general principle is that the timing of tillage or cultivation determines how effective the operation is for weed management. Timing is critical in several respects. First, obtaining a desired action on the soil and weeds requires proper timing relative to season and weather. Second, a given weed species will be more susceptible to a certain type of disturbance at some stages in its development than at others. Finally, the stage of crop development affects the degree and type of disturbance that the crop can tolerate. A third principle is that mechanical weed management is most effective when multiple operations are performed in a planned sequence. Disturbance can be used to manage weeds at several points in the crop cycle. Tillage prior to planting can bury extant vegetation and disrupt roots and rhizomes. Shallow cultivation prior to emergence and close to young crop plants can kill small weeds before they establish. Shallow cultivation is largely ineffective, however, unless the soil has first been prepared by proper tillage. Deeper cultivation between rows can dig out weeds and throw soil into the crop row to bury young weeds. By the time the crop is large enough to stand the impact of soil thrown around the stems, however, many weeds will be too big to bury unless early germinating weeds are suppressed, for example, by over-the-row cultivation. Finally, tillage between harvest and the next crop can be used to suppress perennials and flush seeds from the soil. Thus, tillage and cultivation for weed management require conscious planning of the sequence of soil disturbances throughout the crop cycle.